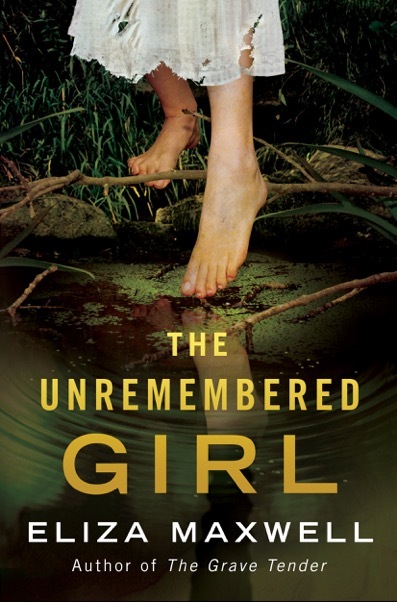 Author Eliza Maxwell does it again with her recent novel “The Unremembered Girl” – leaving readers emotionally charged and breathless. She brings to life a story around two main characters of Henry and Eve. Henry saves Eve and the results of him saving her life take turns that only Eliza can craft. From the very first chapter the author had me wondering and guessing who was it that Henry killed, only to find out towards the end of the story the real reason why he was about to dispose of a body. 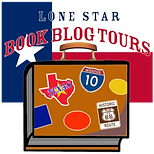 There are many principal themes in this novel that took me on an emotional journey. Eliza’s writing is flawless in her story telling. 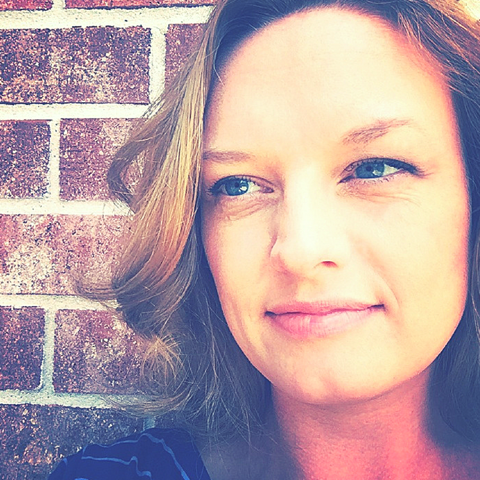 One underlying story evolves around one of the main character’s having ovarian cancer and choosing to not treat it. Then there is the element of human trafficking, which intertwines the characters through the girl that becomes Eve. Overall, the premise of what’s doing right often leads the characters onto other more gut wrenching decisions and major life altering changes. Thankfully, as some of the characters survive you can reflect why Eliza chose the title because there can be life after what these characters go through. Maxwell crafted the story with a lot of mind blowing moments that kept me intrigued in the story to where it would it lead next. Like when finding out that Henry’s stepbrother had been involved with human trafficking or who actually fathered Eve’s baby or how that body came to be that Henry was disposing of. It’s a story that envelops the characters to help a girl. By them helping Eve their lives change in terrible ways and one miraculous way. Often the story is deeply poignant and more often its highly gut-wrenching. Thanks Eliza for another story I’ll never forget. 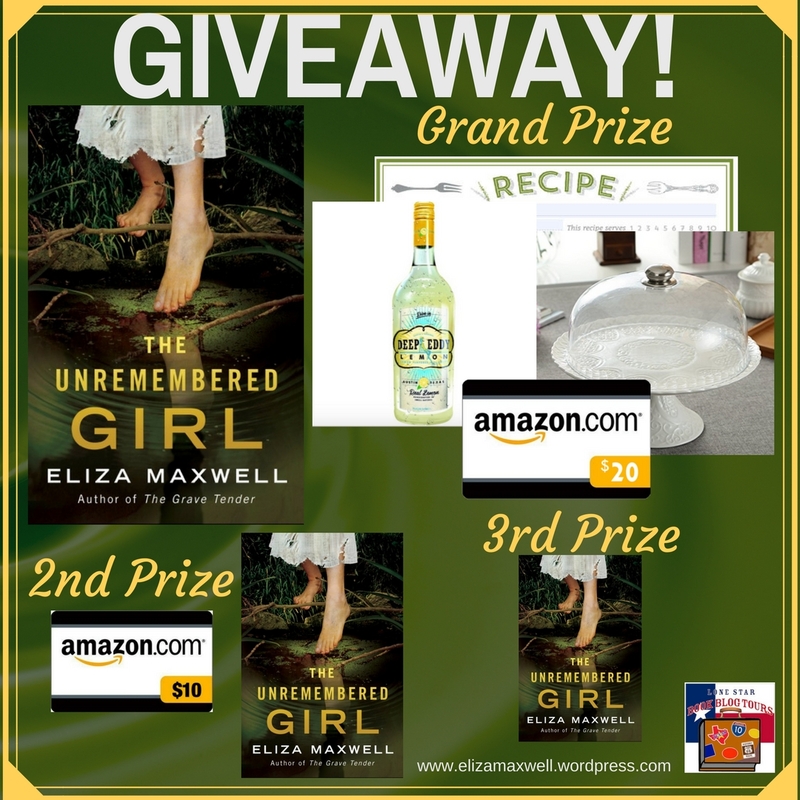 Grand Prize ($90 value): Autographed copy of The Unremembered Girl, 1.75 mL bottle of Deep Eddy Lemon Vodka, Jusalpha white porcelain decorative cake stand, recipe for “Caroline’s Coconut Cake” (featured in the book), $20 Amazon Gift Card. 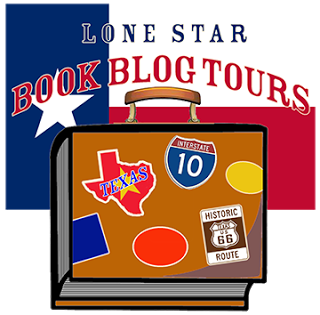 Linking to your review on the GREAT HOOK announcements on my blog!